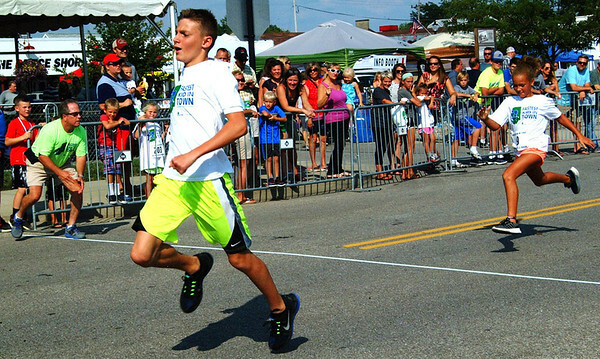 Jacob Stenger, 11, became the 2018 Fastest Kid in Town late Saturday afternoon. First he had to win the 11-year-old males heat, then beat out 10 other age group winning boys in another race to become the Fastest Boy in Town. Finally, Stenger, edged out the Fastest Girl in Town, Mimi Smith, 9, to become the overall swiftest.